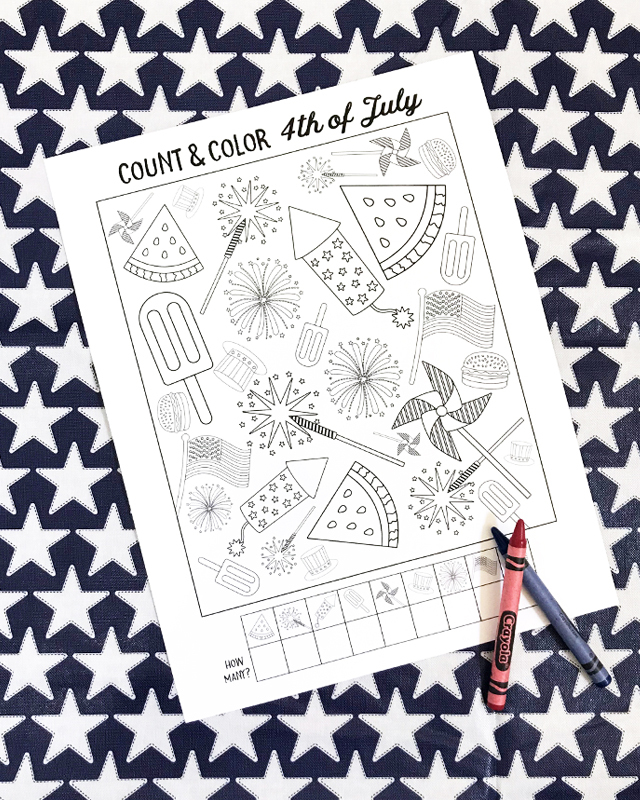 Print out this 4th of July coloring page to entertain your kids while they are waiting for the big firework show! 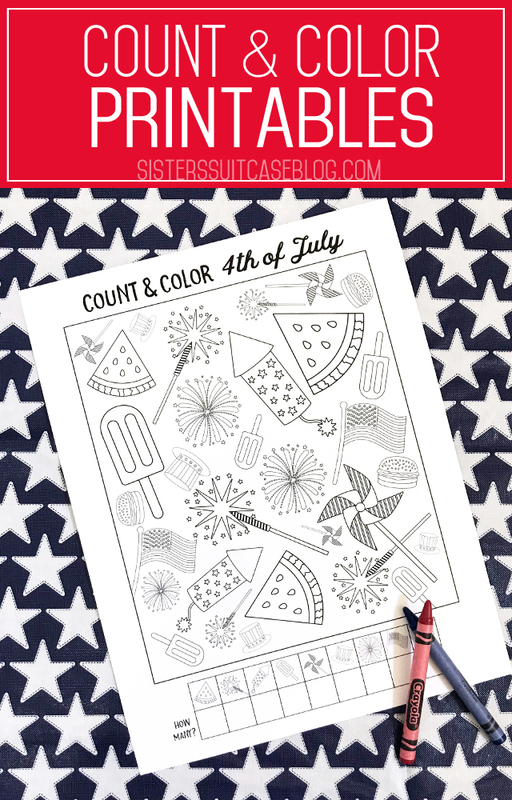 Kids will have fun finding all the patriotic pictures, counting and coloring them together. My daughter loves doing these “Count & Color” pages where she can count up all the pictures that match as she identifies and colors each item. She did some similar worksheets at school this year, and they are always a favorite activity in her class. 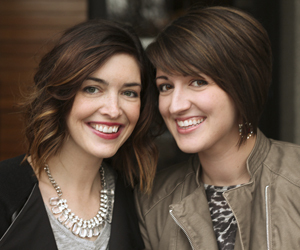 We made a Thanksgiving version in the fall, and we thought it would be fun to make one now for the 4th of July! 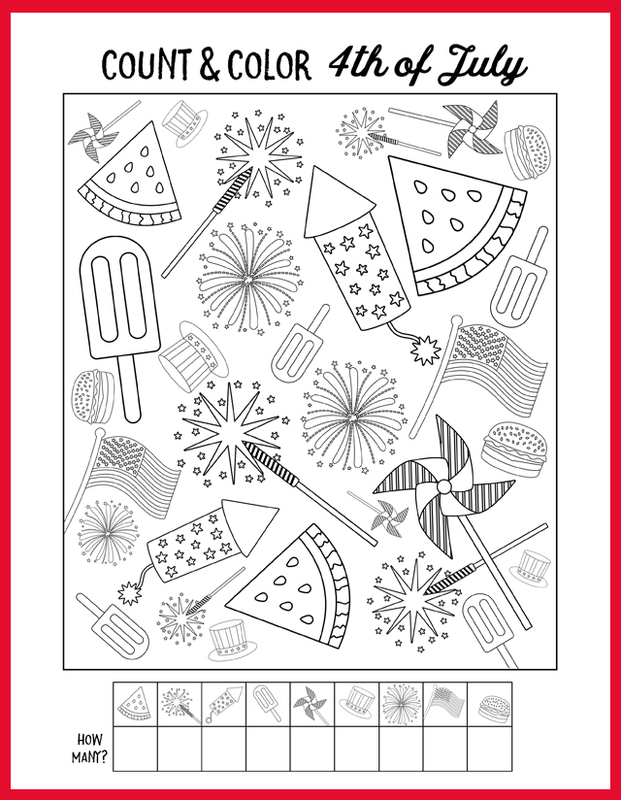 These coloring pages are great for printing from home because they are printed in black & white. 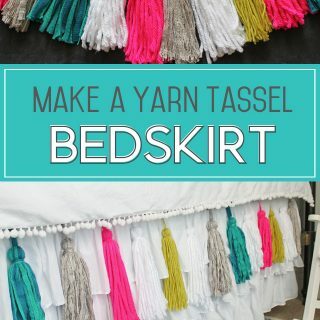 They’re easy and inexpensive to print out in a big batch too! 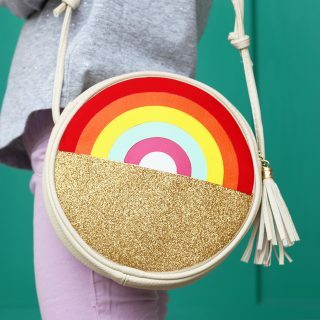 and PIN the image below to save for later! 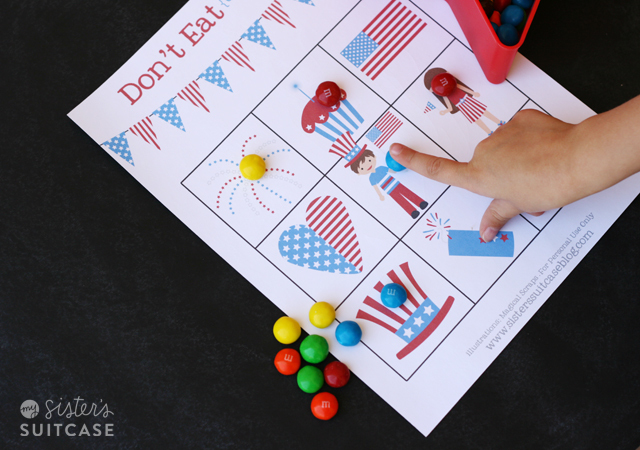 Another favorite holiday activity for young kids is this 4th of July Don’t Eat Sam game (based on Don’t Eat Pete). Kids can easily play this game with friends or siblings on a hot summer day when they need a quiet activity, or at a family barbecue on the 4th of July! 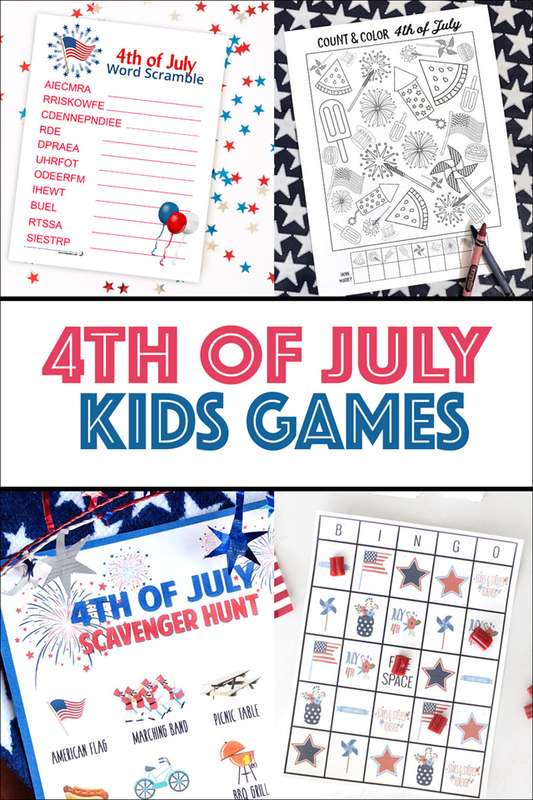 Looking for some other fun 4th of July Kids Activities? Check out these other fun printable games from some of my friends!